The sport of triathlon has seen significant growth over the last five years and shows no sign of slowing down. But what’s the attraction, who’s doing these events and just why are mass participation events seeing such good growth rates? Partly it would seem, a percentage of this growth rate could be attributed to social exposure and the simple fact that many people like to set a goal or an annual challenge. For others, the need to push themselves out of their comfort zones and test their body and mind seems to be the attraction. 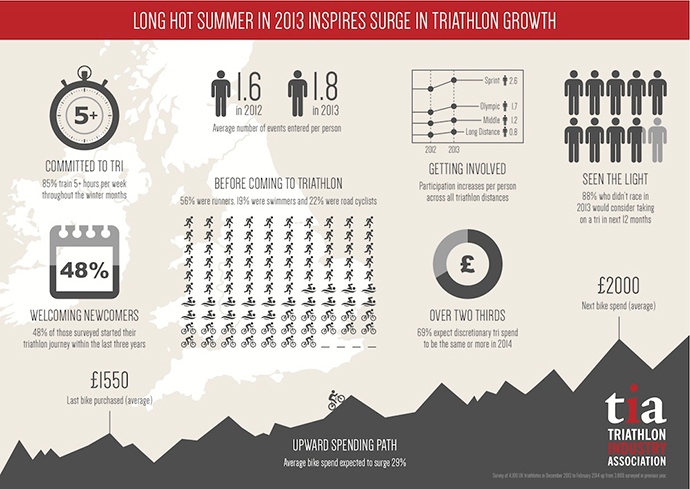 The info graph below (courtesy of Triathlon Industry Association) clearly shows the many factors that make up triathlon growth. 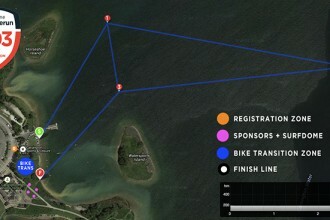 But this of course relates purely to the traditional triathlon format of swim, bike and run. So what would happen if you removed the swim element, the one bit that to many people seems the most daunting and replace this with the world’s fastest growing water sport – SUP or stand up paddle boarding. The answer is simple my friends. The creation of TriSUP events that appeal to a wide audience of water sports enthusiasts, bikers, runners and outdoor enthusiasts. 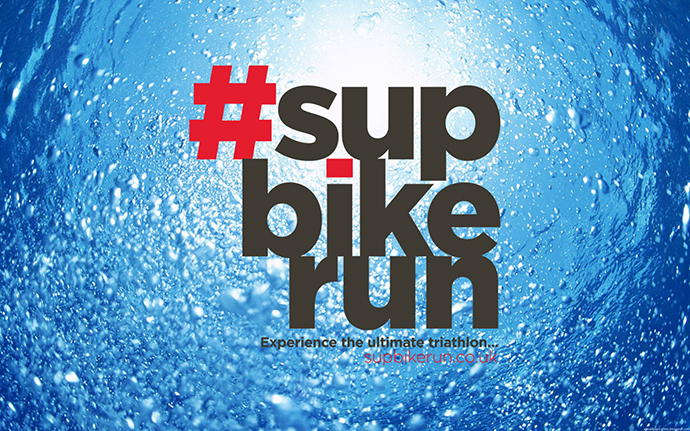 #supbikerun has seen significant growth in 2015 with each event becoming more and more popular. Our relaxed surf style approach creates an atmosphere that is far removed from the chaotic and stressed environment of the traditional triathlon format. Our ethos is simple, to get people involved and to not get too hung up on time and results. It’s about seeing and doing and experiencing the great outdoors. 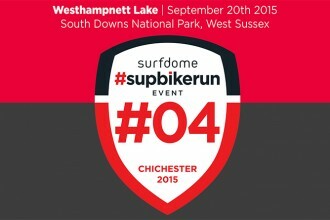 New for 2016, #supbikerun will return with a series of three 2-day events across the UK. Venues have been carefully selected to allow for camping and day 1 of each event will be dedicated for SUP training camps, SUP demos, SUP Yoga and activities for family groups. For updates and to be the first to gain access to ‘Early Bird’ tickets for 2016… make sure you subscribe below!